Stephen Yaxley Lennon told to stop bribing xenophobic racists with free kebabs and pizza. In which I finally pick a game library, after much procrastination, and have a really, really hard time installing it. 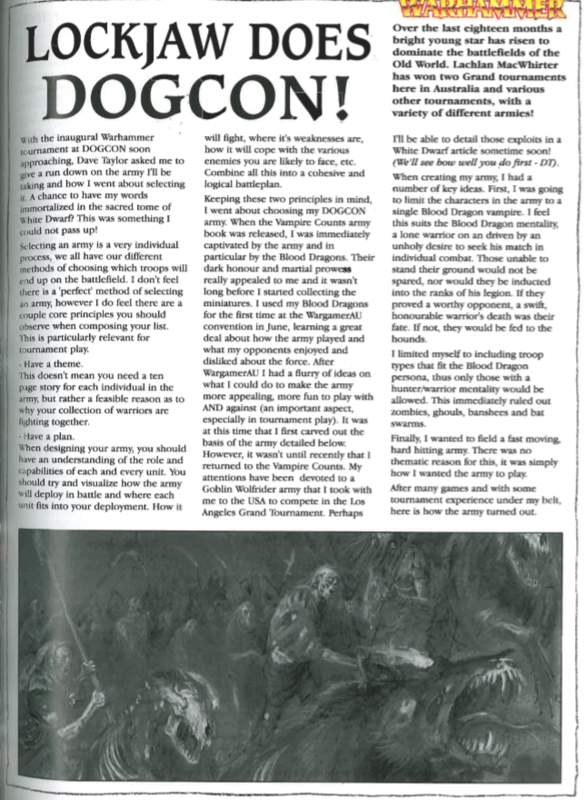 Continuing my trawl through White Dwarf of yesteryear, I turn the ship toward the competitive end of the spectrum and go off about an article I never read at the time.